Forming part of the Cyclades islands in Greece, Mykonos is nestled in the Aegean Sea and famous for its white stucco buildings with bright blue trim and picturesque purple bougainvilleas draped along the maze of streets. Combining its turquoise waters with a lively nightlife scene, visitors come to Mykonos to indulge in the island’s variety of bars and nightclubs filled with a glamorous mix of international travellers. An idyllic, sun-drenched island in Greece, Mykonos is a combination of historic sites, traditional culture and alluring nightlife. With a long list of picturesque beaches, ranging from the family-friendly Platys Gialos Beach to an eclectic crowd of party goers at Super Paradise Beach, visitors are spoilt for choice in where they want to soak in views of the island’s golden sands. With an array of centuries-old architecture, visitors can explore the island’s Mykonos Town city centre to reach the famous Panagia Paraportiani church, Armenistis Lighthouse, and capture a glimpse of the island’s famous Windmills. Browse the side streets of Matoyianni Street to find unique souvenirs and buzzing cafes, or dine on fresh seafood at the popular Little Venice area overlooking the harbour. 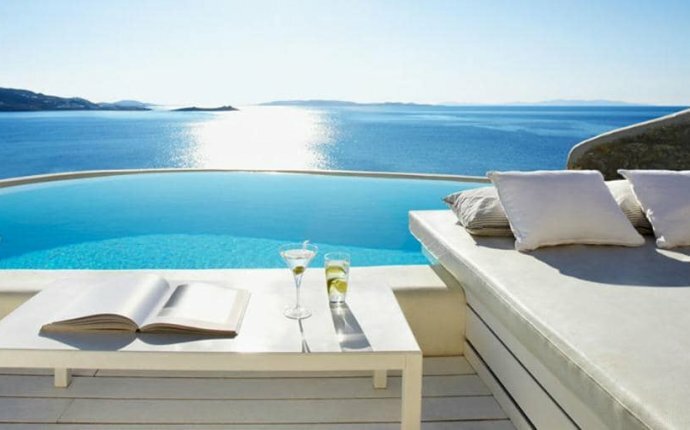 Accessed by the Greek mainland ferries, high-speed catamaran from nearby islands, cruise ships and flights into the Mykonos Airport, the city centre is easily reached from the major points to the island via airport transfers from most hotels, taxi services and local bus routes. While in the city centre, a local bus network takes travellers around Mykonos Town, while boat services are available to travel between beaches. Named after “Mykons”, the first ruler and son of the god Apollo, Mykonos is said to have been the site of a great battle between the giants Zeus and Titans over who would rule the Universe. During this battle, Hercules, the son of Zeus, lured them from their protection in Mount Olympus and brought them to Mykonos, where he eventually killed them. To this day, it is said that the rocks found on Mykonos are parts of the giants.